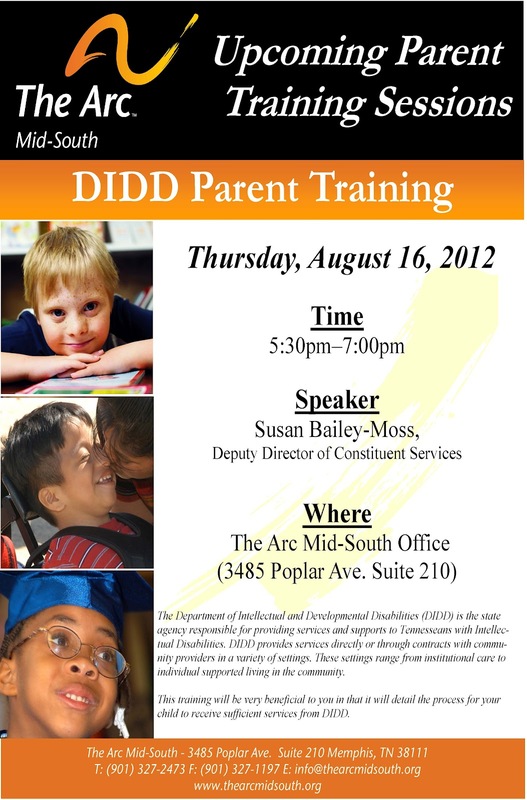 Please consider attending one of these meetings to learn more about DIDD and the waiting list. Memphis meetings have been scheduled for November 5 at Hollywood Community Center, November 13 at Bert Ferguson Community Center and November 14 at Whitehaven Community Center. A key federal agency is calling for an end to a controversial government policy allowing some employers to pay workers with disabilities less than minimum wage. In a report that’s expected to be sent to President Barack Obama on Thursday, the National Council on Disability is recommending that a provision of the Fair Labor Standards Act — section 14(c) — which allows companies to obtain government permission to pay so-called subminimum wage be eliminated over the course of six years. Since the 1930s, employers have been able to request special permission from the U.S. Department of Labor to pay those with disabilities less than the federal minimum wage, which is currently $7.25 per hour. About 420,000 Americans with disabilities are now employed under the arrangement, according to the Government Accountability Office. For the report, members of the council — an independent federal agency tasked with advising Congress and the president on disability issues — conducted site visits in seven states to assess how current employment policy is impacting people with disabilities. They also analyzed research on employment practices. Under the council’s recommendations, subminimum wage would be phased out over a six-year period. The federal government would immediately stop allowing new employers to obtain permission to pay low wages and schools would no longer be allowed to specify any programs paying subminimum wage as a goal for students in their individualized education programs, or IEPs. Meanwhile, individuals already working for less than the minimum would be transitioned into other employment programs within two to six years depending upon how long they had been in their current program. At the same time, the panel is recommending that lawmakers institute mandatory information sharing to ensure smooth transitions for those currently employed at submimimum wage. The report also urges incentives to encourage states and providers to increase supported employment services, among other changes. The National Council on Disability’s recommendation to bring an end to subminimum wage is likely to be contentious even among disability advocates. While an increasing number of people with disabilities are obtaining competitive employment, many advocates and families still argue that there’s a place for jobs that pay less than minimum wage, especially for those with the most severe disabilities. A U.S. Senate proposal last year to restrict — but not abolish — subminimum wage died after significant opposition from some disability advocacy groups who thought the bill didn’t go far enough. Meanwhile, another 2011 proposal in Congress to phase out the program never gained much traction. Just this week, the National Federation of the Blind said it would spearhead protests outside more than 80 Goodwill thrift stores across the country this weekend to oppose the organization’s practice of paying subminimum wage to thousands of workers with disabilities. Goodwill and other employers who utilize the wage allowance defend the practice arguing that they employ thousands who otherwise might be without work. In addition to its report, members of the National Council on Disability say that as a next step they plan to draft a legislative proposal this fall. Purchase an ad in our Gala program booklet! Looking to support The Arc Mid-South and promote your business at the same time? Consider purchasing an ad in the Gala Program booklet for our upcoming 17th Annual Awards and Benefit Gala. Approximately 300 people attend the gala each year and this would be a perfect way to promote your business or organization. Let everyone know that you support the work of The Arc Mid-South and increase business in the process! To purchase an ad or to receive more information, please contact Liesl Becker at (901) 327-2473.